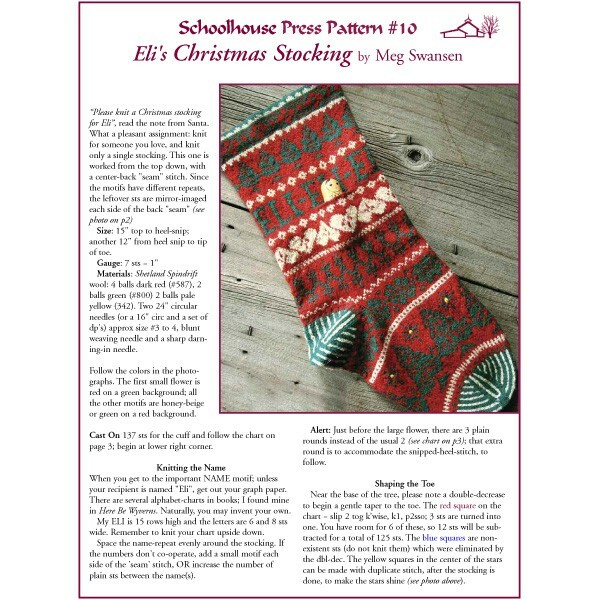 This charmingly festive Christmas stocking was designed by Meg for her grandson, Eli. 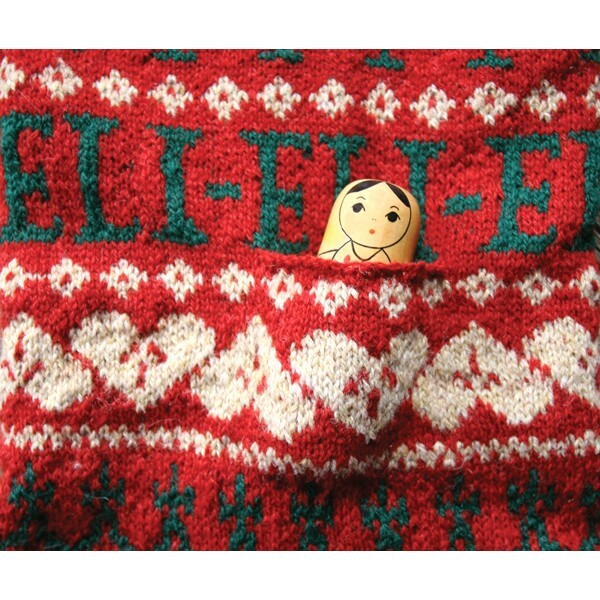 You can easily customize it by replacing 'Eli' with the name of your loved one. Worked from the top down to the toe, uninterrupted by a heel (which is added afterwards, in the form of an afterthought heel). Also features an afterthought pocket, hem and I-Cord hanger. 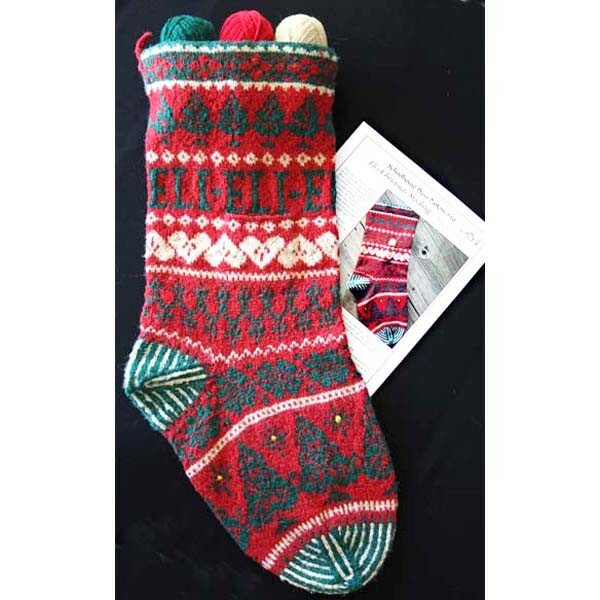 Large enough for plenty of Christmas treats - and you don't need to knit a pair!